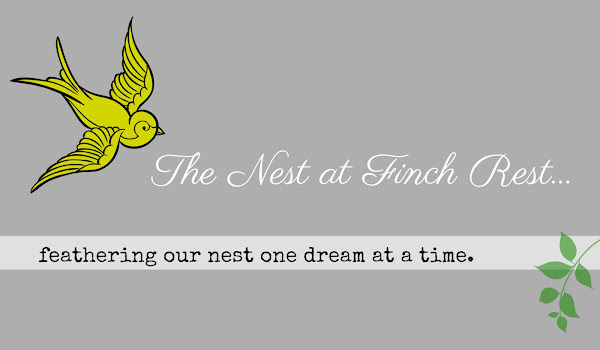 The Nest at Finch Rest: Pink Vintage Roses Tea & Giveaway Winner! 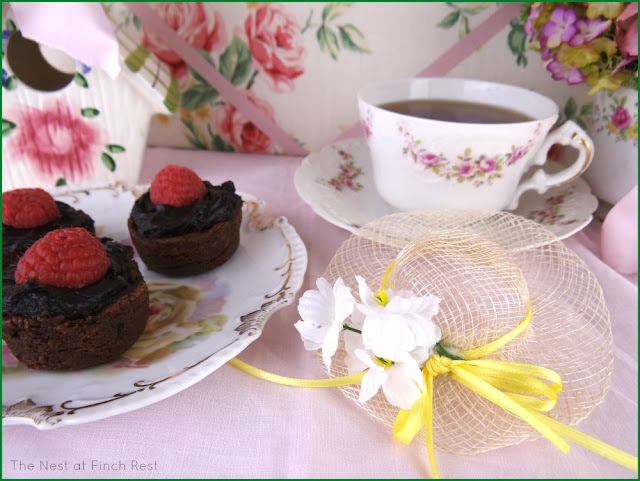 Pink Vintage Roses Tea & Giveaway Winner! that just brings out the "girlie" in me. 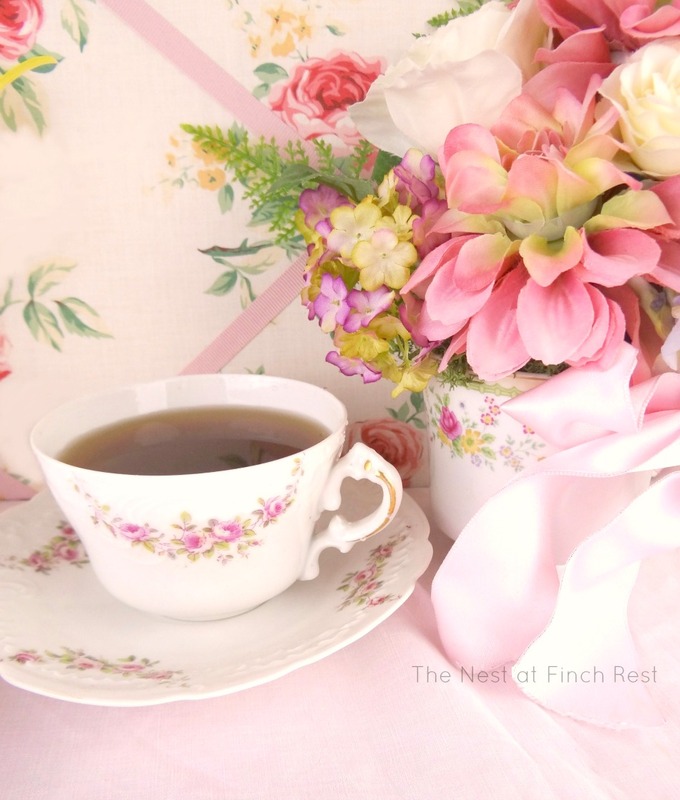 such as soft pink roses china for tea time! Tea time is so much more than simply sipping tea. even if it is just for me alone. 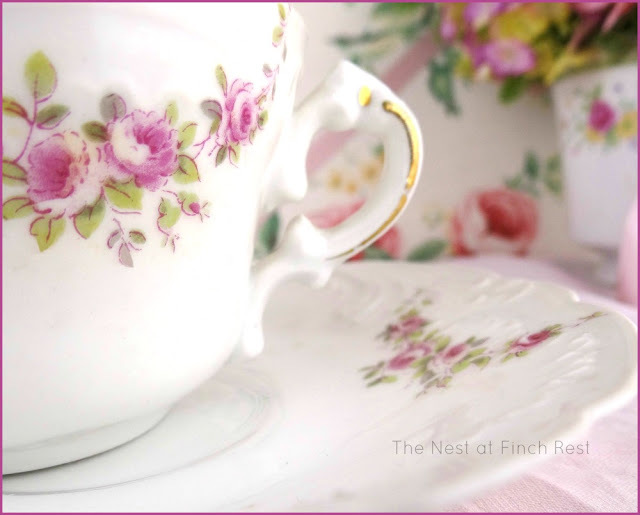 when sipped from a beautiful teacup, don't you agree? and a sweet fresh raspberry on top! very precious, delicate and thin. is vintage Bavarian - love the edges of that plate. is one I made from a lone saucer-less teacup. from a tea I attended last year. yellow roses on the snack plate! and the china birdhouse is a favorite of mine. opening the boxes is like Christmas all over again! and street address so I can send this to you asap! As always, thank you all for your visit today! Oh what a sweet teapot and bird house - congrats to Jamie! 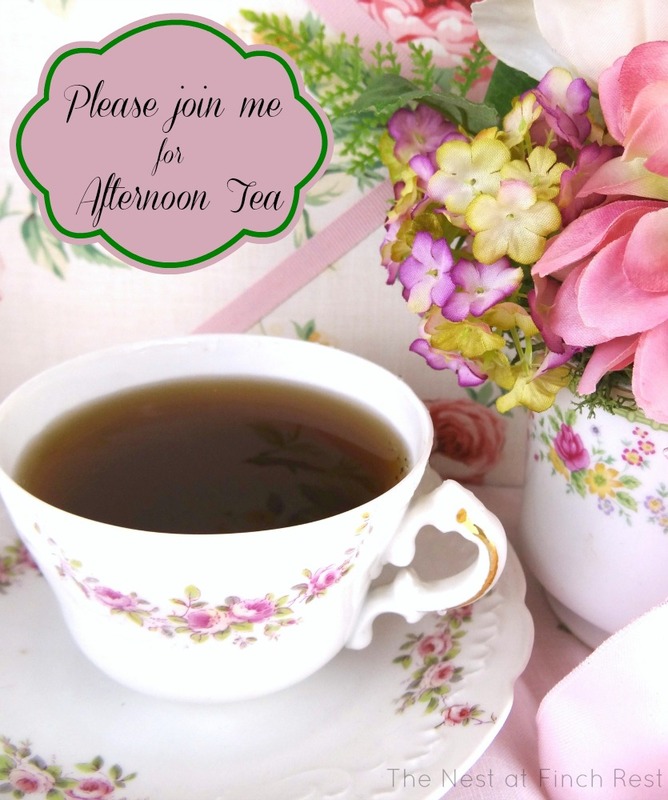 Thanks so much for linking ton "Friends Sharing Tea". You always have the most lovely tea times, Michele. Your Bavarian dishes are indeed feminine and beautiful. Beautiful teacup, Michele. You always have the prettiest cups! Congrats to the winner! your teacup is beautiful! That is the most precious teacup I've ever seen! And you make the pretties vignettes with your tea things! Hurray for Jamie! What a sweet giveaway! I guess spring brings out the girlie in me too! I'm loving the pretty rosy things a lot lately. Love your pretty tea for one! Love your tea vignette! I am in love with roses of any kind, shape or form. Dishes, material, plants etc. 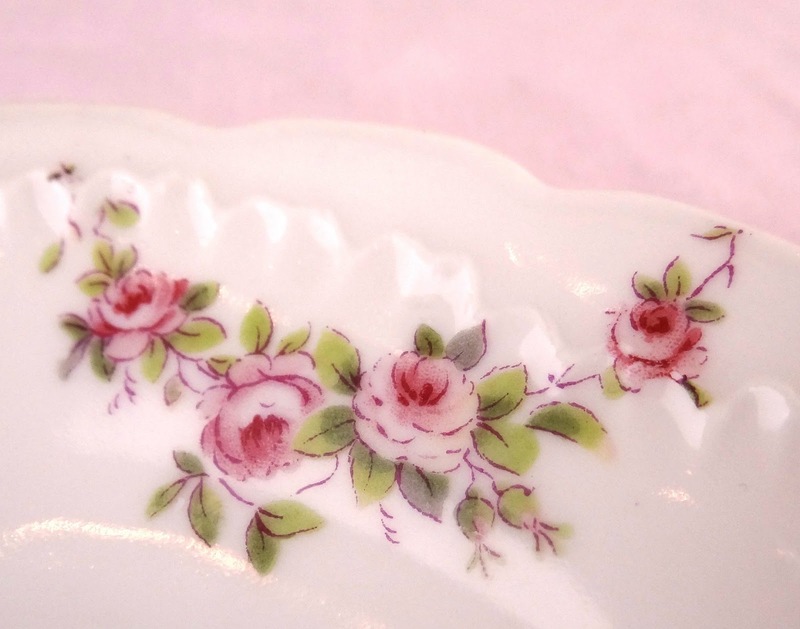 Your tea cups, saucers and snack plate are so pretty and delicate. You have such pretty girly things. I love to look, no touch. Everything looks so pretty. Such a sweet pink tea! 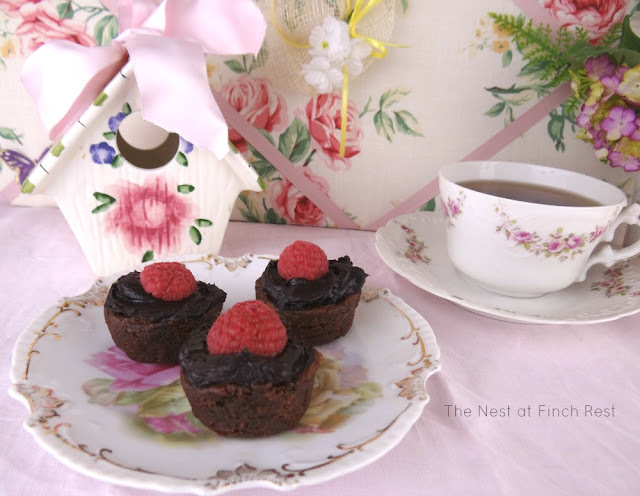 Love your teacup and your brownie looks so yummy! Pink does say "spring". Good for you not eating all of the brownies! How tempting they'd be with a cup of tea since they're bite size. 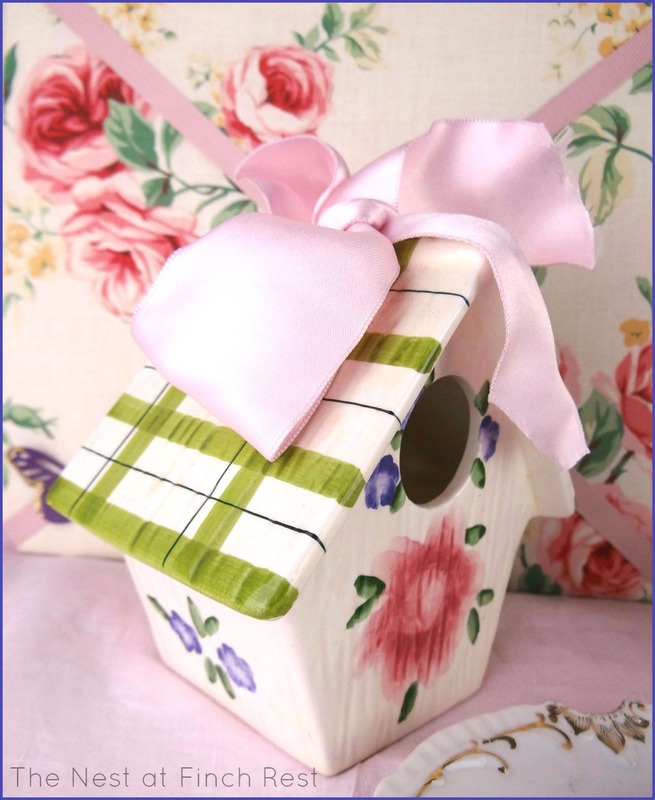 I like the ceramic bird house; I have a few wooden ones but outside the elements would ruin them. Congratulations to Jamie! Beautiful teascape with the adorable bird house. The china is so delicate -- lovely! Happy Tea Day! Very pretty, Michele! 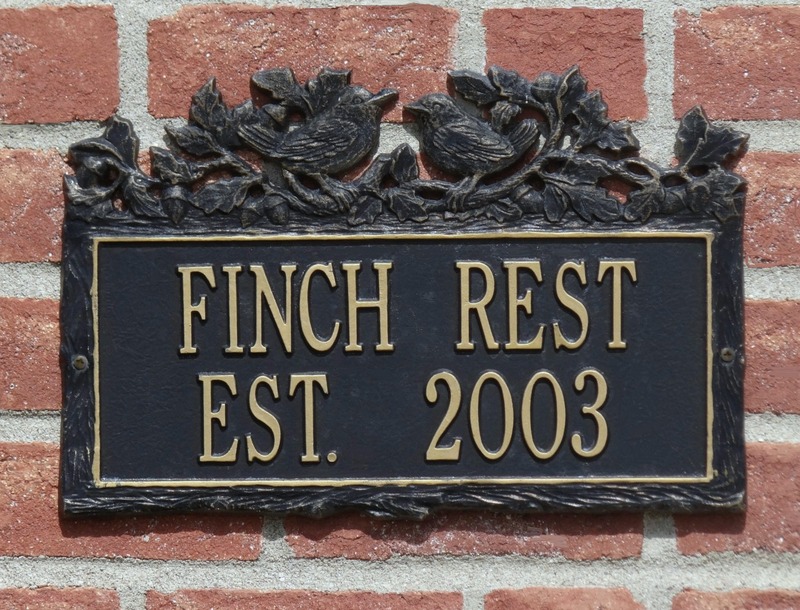 Did you sit outside and enjoy the beautiful weather? I'm hoping to sit outside a little bit today ~ in between cleaning the house ~ to enjoy some of this warmth and sunshine. Always pretty coming here. That memo board makes a great background for your pretty setting. Can never get enough roses-pink ones at that. Love the tiny roses on your teacup, Michele! It is really beautiful. Cute bird house too. Your memo board looks very pretty as a background for your tea. Congrats to your winner! Note: I haven't actually 'met' Fabby. I just meant I visited her blog for tea. My mistake, sorry. I've only actually met one blogger who is Carolyn but I've known her since I was a girl as we used to play together. Thank you for sharing and joining me for tea. Hope your week is lovely. HI MIchele Such a beautiful blog and post. I love tea cups with delicate flowers on them. I am so glad to meet you. Parabéns, voce merece, tudo tao lindo! Feliz dia do chá. A big kiss and beautiful week for you! Michele, you always have the most beautiful teacups! So perfect for Spring! I use to hate dark chocolate, but now i don't mind a tad. Especially with a luscious raspberry! Congrats to Jamie. Sounds perfect for her! Thanks for sharing with SYC. I love the idea of "opening the spring boxes" -- maybe my husband wouldn't freak out quite so much if my stuff was boxed up into seasonal items. Beautiful rosy post -- thanks for brightening my day! Oh, these photos are especially yummy (and no, not just the chocolate, ha!). Congrats to Jamie for winning the giveaway! I agree what a gorgeous teacup! Love the pretty pink colors. ROYGBIV - The Rainbow Connection! 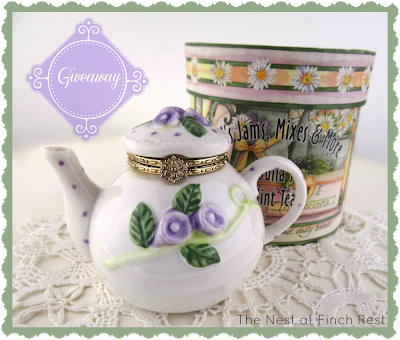 Pretty Purple Tea Time & GIVEAWAY!